The Parent Education Group promotes research-based, educational products that parents and children can watch in the privacy of their homes and work with at their own pace. Products can be kept and reviewed for use at a later time after any educational requirements are fulfilled. Kidcare Online can be accessed on most desktops, laptops and tablets. This program is designed to educate parents about the effects of divorce on the family. Developed through extensive, federally-funded research, the course includes 19 modules related to Adult Transition, Kids’ View, Parenting, Co-Parenting, Dating and Remarriage, and Unsafe Family Situations. Completion of the Massachusetts Parent Education requirement online or by DVD requires permission of the court. 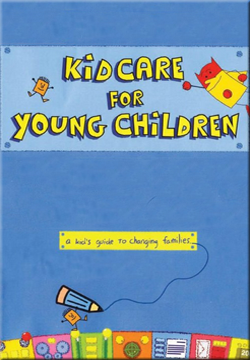 Kidcare for Co-Parents is a multimedia, interactive DVD program for parents that can be used with a DVD player on either a personal computer or a television screen. 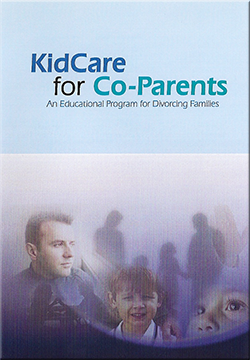 This program is designed to educate parents about the effects of divorce on the family. Developed through extensive, federally-funded research, the course includes 19 modules related to Adult Transition, Kids’ View, Parenting, Co-Parenting, Dating and Remarriage, and Unsafe Family Situations.